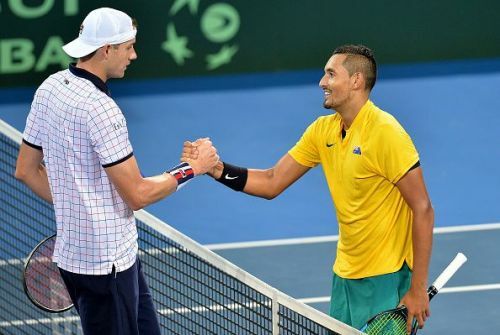 In a face-off between two big servers, Isner meets Kyrgios. 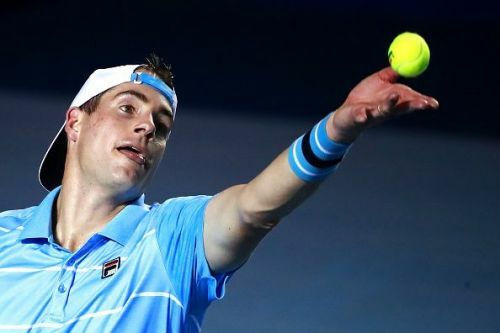 The third seed John Isner will meet a resurgent Nick Kyrgios at the semi-final stage of 2019 Mexican Open at Acapulco. The volatile Australian seemed to have lost his way in the last year or so, plummeting his world ranking to the seventies. But he seems to have rediscovered his mojo at the Mexican Open this year. After a facile win against Andreas Seppi, he made a remarkable recovery against the top seed Rafael Nadal against all odds to win his second round match, in the process saving as many as three match points. To prove that he was not yet finished, he backed that up with another major scalp in the form of Stan Wawrinka who too is playing the brand of tennis that has seen him lifting three grand slam titles. Kyrgios’s serve has always been his strength. But what has been especially impressive in the matches so far is his return game. Against the Swiss star, he won eight more points on the return game than his opponent and broke him three times while being broken just once. His opponent in the semi-final will be the number one American player John Isner. The thirty-three-year-old has not had the best of starts to the season. He began the season with two back to back first round losses at Auckland Open and Australian Open, to his younger compatriots, Taylor Fritz and Reilly Opelka, respectively. He lost to Opelka again at the New York Open in the semi-final and at the same stage lost to the Briton Dan Evans at Delray Beach Open. He has made it to the semi-final stage yet again in Dubai. If he is to go further, he will have to lift his game a notch against a dangerous-looking Kyrgios who is suddenly looking like the world beater that many thought he would have become by now. Their head to head record gives no edge to one over the other as each has won twice from the four matches they have played. However, on recent form, it is the lower ranked Australian who seems to have the edge in this match.